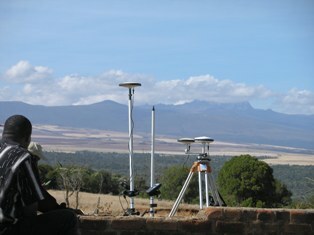 Rural Focus has a skilled, operational and well equipped survey team. Typical projects include survey of dam sites, greenhouse sites, pipelines, and setting out infrastructure etc. 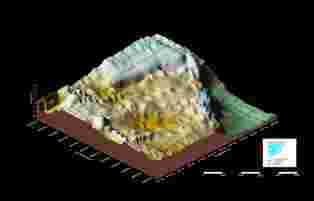 Topographical data is digitally downloaded into a Computer Aided Design (CAD) environment for quick and accurate processing of contour maps and information for technical designs. 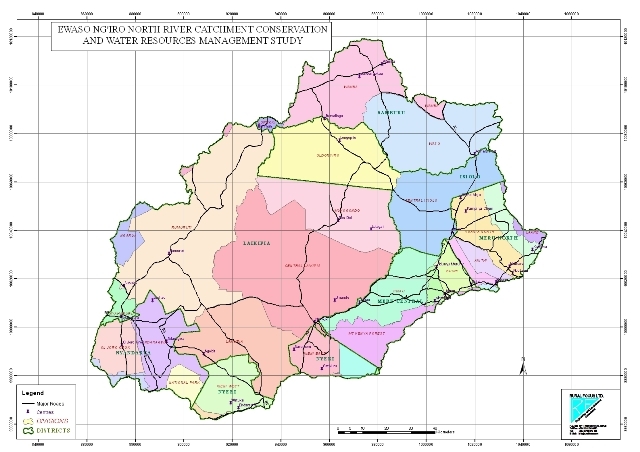 Rural Focus has skilled personnel and expertise in mapping water resources and water supplies. Rural Focus has a well established GIS workstation and has expertise in the application of GIS to a variety of different applications. Engineering designs typically cover the technical, economic, environmental and financial feasibility of a project. Engineering designs are drawn up to meet Kenyan and International design standards and regulations, as appropriate for each project. Rural Focus supports projects to obtain the statutory licenses and permits. For many projects these include water permits, EIA licenses, inspection by Occupational Health and Safety, inspection by PCPB. Rural Focus has experience in the preparation of tender documents, managing the tendering process, evaluating bids, preparing construction contracts, preparing payment certificates, handling disputes and claims, and certifying works. Construction supervision involves checking the setting out, maintaining site records, verifying quality of materials and workmanship, valuing works, holding site meetings, handling design and budget changes. Rural Focus staff are registered with the Engineering Registration Board and licensed by the Ministry of Water and Irrigation (Kenya). Earth Dams up to 15 m in height, including spillway, drawoff and ancillary works (access roads, pump houses, etc). Sand Dams on sandy ephemeral water courses. Rural Focus has been involved in a variety of dam and pan projects, covering projects from reconnaissance, siting, design, construction to final certification. Rural Focus recognizes that part of the solution to water scarcity is harnessing runoff and flood flows. 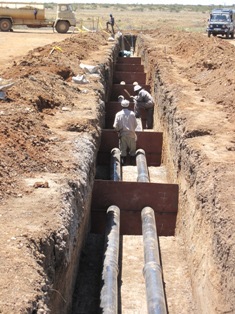 Rural Focus is committed to making water conservation structures which are affordable, effective and sustainable. Rural Focus has pioneered the design and implementation of self regulating weirs in combination with dams to ensure that flood water abstraction from rivers is reliable and in compliance with water and environmental regulations. Rural Focus has pioneered the use of donkey drawn dam scoops for the rehabilitation of pans in pastoral areas. 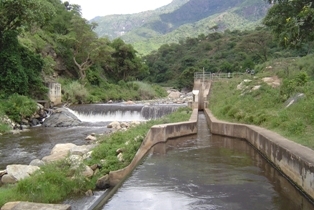 Rural Focus has been involved with the Water Resource Management Authority (Kenya) in the development of the Codes of Practice for dam design, construction, operation and maintenance. Rainwater harvesting is a simple and well-founded concept in that it seeks economical ways to retain clean rainwater close to the homestead, thereby avoiding expensive water treatment and conveyance costs. However the details of rainwater harvesting systems frequently define whether the system operates effectively. 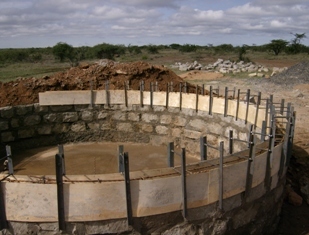 Rural Focus has worked with women groups in Laikipia to build 6 m3 and 10 m3 ferro-cement water tanks for homesteads and institutions. Rural Focus has successfully implemented a number of rainwater harvesting systems for residential houses. Rural Focus established a decision support tool which combines rainfall data, roof size and demand to establish reliability curves and recommended tank sizes. Rural water supplies typically consist of a number of elements including abstraction from the water resource (intakes), treatment, storage, conveyance, and distribution systems. In addition to the design and construction supervision of the rural water supply systems, Rural Focus brings detailed experience in the management and operation of rural water supplies. This ensures that systems are designed appropriately with respect to the expected management and operation skills. Rural Focus provides the necessary skills because it brings professionalism and experience to the projects. Water treatment systems are designed to handle the quality of the inflow water and treat to a level desirable for the type of use. Effluent and wastes from water treatment systems are disposed on in environmentally friendly ways. Rural Focus has experience in the application of household water treatment and purification systems. Rural Focus seeks to apply new and appropriate technologies which improve treatment efficiency and cost effectiveness. Rural Focus has experience in the design and construction of irrigation systems for smallholder (community) and commercial schemes. 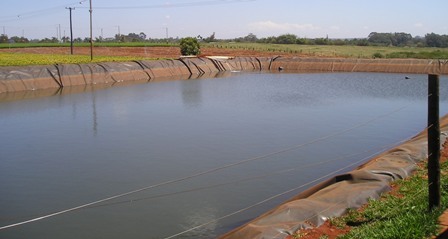 Smallholder schemes tend to be combined with domestic water. The in-field systems are typically sprinkler based, although there is a move to make drip systems affordable and feasible to smallholder irrigators. A key feature of smallholder schemes is the need to be able to share water equitability between scheme members. Rural Focus has made use of water sharing boxes and meters to improve equitable distribution of water between branch lines and scheme members. Commercial irrigation schemes tend to be designed to a high specification, with more automation, more control and higher efficiencies expected. Irrigation systems typically have in-field drip lines, spray lines, humidity lines and may also include sprinkler lines for particular crops. 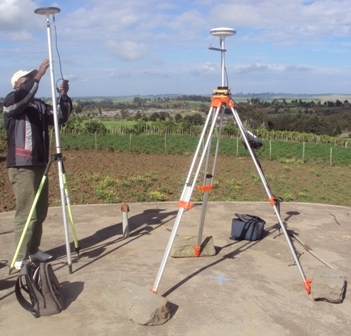 Rural Focus offers extensive experience in the hydro-graphic surveys, design and supervision of drilling programs, and the rehabilitation of boreholes. Rural Focus experience covers wind, solar and diesel powered borehole pumps. Rural Focus has experience in training community groups in the maintenance and repair of diesel powered borehole pumps. Rural Focus provides survey and engineering design services appropriate to a wide range of civil engineering structures. Projects typically require skills that cover the design of the site layout covering traffic, drainage, winds, and the architectural, structural, process, and aesthetic features of the required structure. This requires knowledge and experience of the local construction industry, site conditions and commercial or domestic operations. Rural Focus provides the necessary skills because it brings professionalism and experience to the project. Rural Focus ensures that its structures meet the requirements of local regulations. Involves establishment of climate and water resource monitoring networks, including design of network, equipment specifications, staff training establishing procedures. Rural Focus has detailed expertise in the analysis of hydrological data for the development of flow duration curves, extreme event analysis, low flow duration analysis and the establishment of parameters for spillway, culverts and bridge designs. Rural Focus has undertaken numerous water resource assessment surveys, covering both surface and groundwater. Rural Focus has experience in the use of different digital simulation models, primarily covering rainfall-runoff models for the prediction of the hydrological impacts from land use change, and reservoir simulation. Catchment management spans the range of mechanical, vegetative and infrastructure options available at the household, micro-catchment or basin level which in combination with social and economic factors can be mobilized to improve catchment conditions for improved production and water management. Rural Focus has engaged in catchment management projects at different levels. Rural Focus has experience in the design and implementation of flood mitigation and flood management approaches and infrastructure. Rural Focus staff has been heavily involved in the water sector reforms in Kenya, through the provision of technical assistance covering a variety of areas including the development of the WRM Rules 2006, Codes of Practice for Groundwater Development and Dams, Catchment Management Strategies, and Management Information Systems (MIS). Rural Focus supports its clients to achieve a high level of compliance with the local regulations and to develop sustainable and efficient utilization of the water resources. Rural Focus has been instrumental in pioneering the formation and establishment of Water Resources Users Association (WRUAs) to develop a mechanism for stakeholder involvement and governance of common and shared water resources. Rural Focus has pioneered the establishment of Water Allocation Plans, having drawn up a water allocation plan for the Lake Naivasha Basin. Building compliance to EIA Regulations is a process that adds value to projects by investigating and analyzing efficiency, health and safety procedures, environmental risks, processing and safe disposal of wastes. 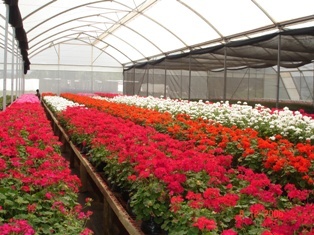 Rural Focus has experience in preparing Project Reports and Annual Environmental Audits for a variety of different types of enterprises and community projects including hotels, tourist camps, airstrips, cottage industries, community water projects, boreholes, irrigation schemes, and horticultural farms. Rural Focus also prepares Environmental Impact Statements (EIS) covering programs which have planned a variety of interventions, in order to perform due diligence with respect to environmental concerns. Rural Focus has designed and implemented a number of capacity building programs through the application of participatory methodologies to water supply management. Capacity building programs have covered Training Needs Assessments (TNA), Training of Trainers, community training, mentoring, and the establishment of community based M and E systems. 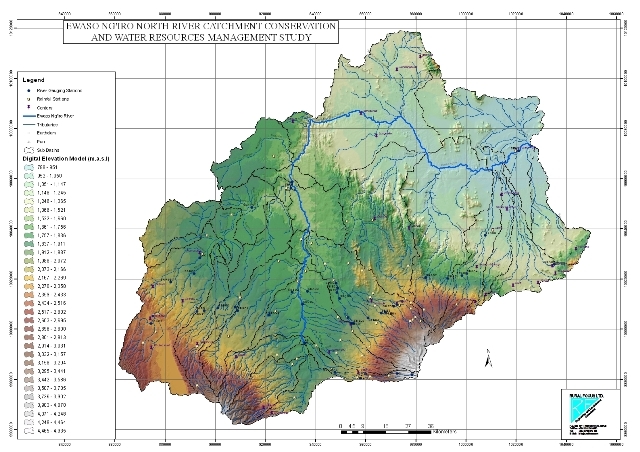 Starting in 1997, Rural Focus pioneered the formation and establishment of Water Resource Users Associations (WRUAs), starting with the water-conflict prone regions northwest of Mt. Kenya. Rural Focus has designed training materials appropriate to the capacity building needs of WRUAs. Rural Focus has designed and implemented institutional capacity building programs specific to different institutions. specific training of development professionals and trainers. Rural Focus is familiar with the PHAST and other participatory approaches in hygiene and sanitation training at the community level. Rural Focus has undertaken training in hygiene and sanitation as a compliment to water supply management training. Rural Focus provides holistic expertise in the design and implementation of commercial and community based projects. This involves a broad range of experience coupled with skills in strategic planning, critical analysis of quantitative and qualitative data, experience in functional organizational and management structures as well as knowledge of financing mechanisms. Rural Focus has expertise in the design and implementation of M and E systems, covering community, project and institutional levels. Many activities benefit from an independent assessment at certain stages or at the completion of the project or programme. Rural Focus brings a mix of technical and community knowledge to such evaluations and in addition to evaluating completed work can also make recommendations for future strategies or activities.